Tutorial resources are available on a drop-in basis six days a week. One-on-one sessions are available for help with writing, critical reading, test preparation, study skills or time management. Tutoring takes place in the Learning Studio (also known as Room 200), which can be accessed through the Joanne Waxman Library or from the exterior doorway. Appointments can be scheduled by visiting this scheduling website.An iPad next to the hallway door of the Learning Studio is also directly linked to the scheduling site. Appointments are scheduled for an hour. For more information about tutorial services, please contact Heather Stewart Harvey, Learning Commons Coordinator (email hharvey@meca.edu; telephone 699.5036). Marni Berger holds an MFA in writing from Columbia University and a BA in Human Ecology from College of the Atlantic. 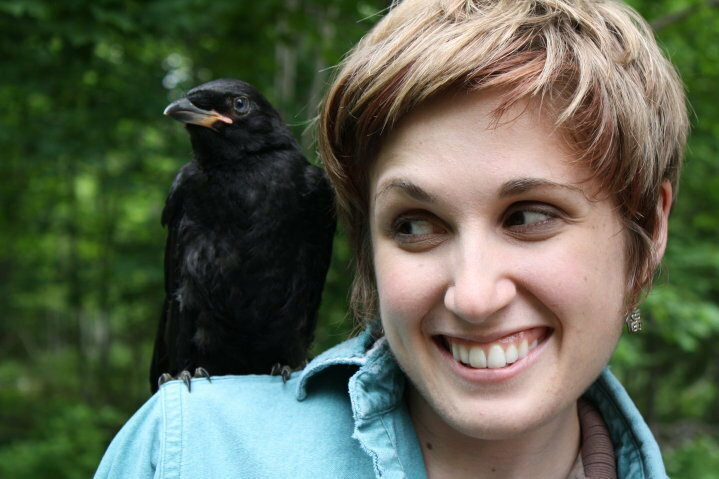 She has taught writing at Manhattanville College and Columbia University and tutored middle, high school and college students in writing and executive functioning skills in Maine and New York City beginning in 2009. Marni’s most recent short story appeared at Matador Review in July 2018. 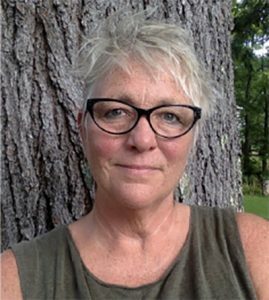 Her fiction has been a finalist or received honorable mention in seven Glimmer Train contests and one New Millennium Writings contest, while her short story “Waterside” appeared in Issue 96 of Glimmer Train. Her work has also appeared at The Common, The Days of Yore, The Millions, and Fringe Magazine. Marni has new essays forthcoming in Lotus Eater, COG, Cold Creek Review, and The Critical Flame. And her novel-in-progress, Love Will Make You Invincible, is a dark comedy about a precocious tween, who — in refusing to believe his long-lost father committed suicide — becomes convinced that his father is a citizen of a secret underwater village in Pittsburgh; the boy voyages to find him. Ramona is a Junior at the Maine College of Art, pursuing a BFA in Sculpture & Transdisciplinary Studies. They like to engage with grammar and English composition, as well as conversations about “big questions,” working through blockages, challenging perspectives, and finding meaning in what we are doing. Along with a deep appreciation for making, craft, and fine art, Ramona is devoted to exploring how people exist throughout other modes of cultural production and theory, including music, independent film and cinema, the internet, ecology, philosophy, art theory, sociology, psychology, politics, and economics. They feel it is pressing that we actively consume content and think critically about information so that we can feel empowered to think autonomously and better understand our complicated world. Still very much in a state of becoming within the learning process, Ramona has their own academic difficulties and understands that there are many styles of learning and kinds of intelligence to be respected and appreciated. They hope to bring the immediacy of their own education with them to offer a kind of peer-to-peer learning informed by shared experience and joy for learning. 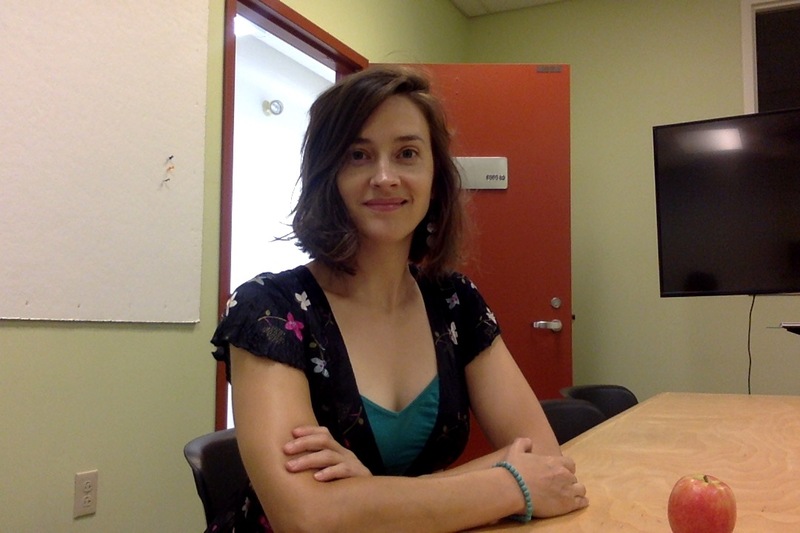 Elyse Grams is an MFA Candidate and has been a teaching assistant for World History at the Maine College of Art. 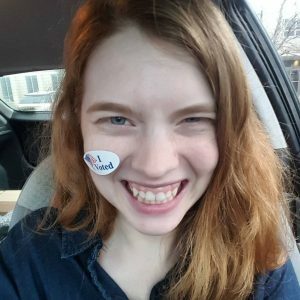 A voracious reader, with an interest in history, art history, and specificity of language, she looks forward to helping you work through anything from an artist statement to a dense text for one of your classes. She is an interdisciplinary artist who works with soft sculpture, paper, textiles, and ceramics. Her work explores ideas of remembering as a deliberate action, erasure, and repetition and draws on traditional craft in embroidery and paper making to ground her practice. Her work has been shown and is held in private collections in Texas, Maine, and Tennessee. Previously a public school teacher, learning and sharing knowledge in the arts is her greatest passion. Ann is an experienced high school English teacher who is excited to help college students express their ideas and creativity through organized and articulate writing. She teaches all levels of English and works with every kind of student imaginable, from the reluctant writer to the philosopher who just needs help getting their amazing ideas down on paper. Ann is passionate about writing in all genres. She can help you with creative writing, argument writing, research, or just about any type of written expression. Ann is also a fan of reading, particularly the reading of dense texts that seem like impenetrable fortresses of meaning. She can help you unpack the significance of important ideas in all those chapters or articles you have to read by class on Friday. Ann’s educational background is varied: her undergraduate degree is from the University of Arizona, where she majored in Women’s Studies with a focus on feminist literary theory. She recently completed graduate school, where she earned a Master of Education degree. As a new tutor at MECA, she sincerely hopes she can help students become confident and independent writers. Karen is a veteran secondary public school educator in Visual Art and English with an expertise in teaching at-risk and gifted students. She enjoys working with writers and artists while supporting them through the creative process. Karen is a practicing artist and writer with a strong penchant for mentoring, editing and therapeutic arts work. 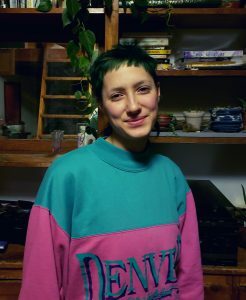 Liz Rhaney is an MFA candidate at the Maine College of Art who works with a variety of media including writing, performance, sound and video. She has a BFA and minor in writing from Armstrong State University. 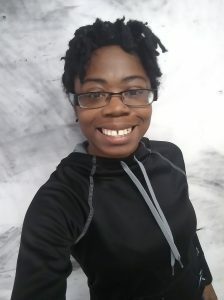 She was a writing fellow with Deep Kids from 2016-2018, a non-profit in Savannah, GA that helps young writers in public schools. She also has experience as a staff writer and photo editor for The Inkwell. Her current work explores the intersection of writing, visual art and social activism.